Earth Day: Dig into a Good Book! Earth Day--April 22--is a wonderful time to celebrate nature and consider how our actions affect the world. Commemorate the day with one of these compelling novels or nonfiction books. Flight Behavior (Harper Perennial, $16.99) by Barbara Kingsolver overlaps the personal challenges of a poor rural family with global environmental issues. Dellarobia, a wife and mother in Tennessee, discovers thousands of monarch butterflies in the valley behind the family's farm. The novel addresses how global warming changed the butterflies' behavior, along with the seldom-heard perspective of families living in poverty. Hope Jahren is a botanist with a love of plants. Her memoir, Lab Girl (Vintage, $16), tells "the story of how my science is done with both the heart and the hands." This entertaining and engrossing book combines stories about Hope's work with accounts of her life since childhood, including some serious challenges. Sometimes laugh-out-loud funny and sometimes moving, Jahren's beautifully written book will make you want to go dig in your garden. Jodi Picoult's compelling novel Leaving Time (Ballantine, $16) is a mother-daughter story that also delves into the plight of elephants, with fascinating information on their lives and the way they grieve. Thirteen-year old Jenna doesn't remember much about her mother, who disappeared 10 years ago, but she is determined to find her. Chapters alternate between her investigation and her mother's journals of her work with elephants, in Africa and at a sanctuary in New England. Mental Floss screened "11 movies based on poems." Mexico City's Biblioteca Vasconcelos, a "jaw-dropping 'megalibrary,' contains the complete, perusable personal book collections of five of Mexico's greatest thinkers," Atlas Obscura reported. "A prankster who added Narnia, Gotham City, and Neverland to road signs in Didcot said he had wanted to change perceptions of the Oxfordshire town," BBC News reported. "Pop culture/literary BFFs who go together like PB&J" were paired up by Quirk Books. Headline of the day (via the Guardian): "Samuel Taylor Coleridge's remains rediscovered in wine cellar." Başak Bakkaloğlu's Pier bookcase gets its name from Mondrian's "Pier and Ocean," Bookshelf noted. 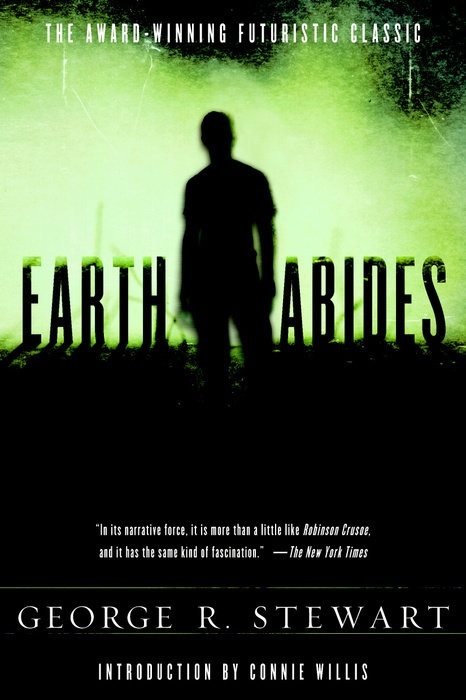 "When anything gets too numerous it's likely to get hit by some plague," muses the protagonist of George R. Stewart's science-fiction classic Earth Abides (1949). Geologist Isherwood Williams, also known as Ish, suffers a rattlesnake bite while working on his graduate thesis in the Sierra Nevada mountains. During his recuperation, Ish is struck by a measles-like illness, which he soon discovers has killed nearly everyone else. Ish finds a handful of other survivors, travels a depopulated country and bears witness to ecosystems now freed from human civilization. As a primitive society rebuilds over several generations, Ish becomes more relic than leader, called the Last American with awe and respect by superstitious, bow-and-arrow hunting tribesmen. Derek Miller has built a career in international affairs, and that experience has shaped his novels, which include Norwegian by Night and The Girl in Green. 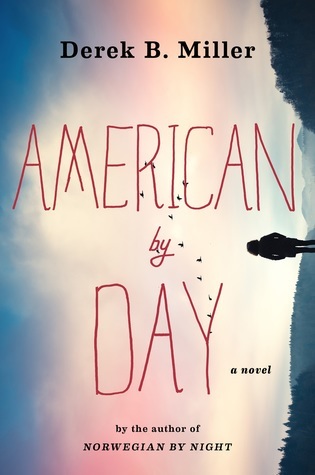 In American by Day (out now from Houghton Mifflin Harcourt; reviewed below), a Norwegian detective travels to the United States to search for her missing brother. A Boston native, Miller now lives in Oslo with his wife and children. While readers don't need to have read Norwegian by Night to understand the story of American by Day, the two are definitely interrelated. Did you always know you wanted to continue the story in some way? Norwegian by Night was Sheldon's story, not Sigrid's. That book was almost an inversion of a traditional police procedural, in that the police and the procedural were less important than the lives and stories of the main characters. It had not occurred to me to write another story with Sigrid investigating another crime in Oslo. I wasn't interested in a series in that traditional sense. I did, however, love Sigrid, and wondered how and whether I could return to her later. Once I came up with the idea of bringing her to America and inverting the fish-out-of-water experience, and having her investigate but not as a cop on her own beat, it came together. The story coalesced once I considered the related challenges around European immigration and American race matters from a policing perspective. At that point, I allowed the characters to take over to see what would happen next. Which is always the fun part. Expanding a bit upon the "fish-out-of-water" idea, I was struck by how different America looked (to me, as an American reader) when viewed through Sigrid's eyes. I was watching Beyoncé's Lemonade movie. In one memorable scene, she drives a monster truck over a bunch of old cars on an urban street. A lot of the Internet chatter about the scene talked about girl power, and black girl magic, and all these tropes about femininity and race. They were all perfectly reasonable, and many women (especially women of color) found it either fun or empowering or both. But I never read anyone saying, "that is one angry American woman." Which is funny, really, because if you pull back far enough, that was the fundamental cultural gesture: only an American woman would express her outrage at being cheated on by driving a monster truck over a bunch of parked cars. Which isn't to say everyone wouldn't enjoy it, but it requires certain cultural resources to mix together that particular cocktail. So, where many people saw an empowered black woman, I first saw an American. A deep irony--but also truth--about the American experience is that our Americanness is often invisible to us. Not only because our culture is the water in which we swim, as David Foster Wallace might describe it; that's true for all cultural systems. Rather, the distinctiveness of America is how one of its defining characteristics is to deny group characteristics and attribute everything to individuality. For people who often feel on the fringe of American life--for reasons of race, or religion, or sexual preference or whatnot--it can feel impossible to get into the center of it. What they often forget is how deeply American they already are. 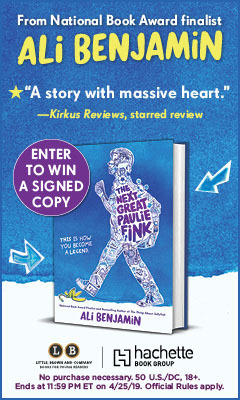 If this book lets us see ourselves in a fresh and rewarding way--even if it is somewhat uncomfortable--I say great. Literature should do that. Comedy should do that. Scholarship should do that. American by Day is surprisingly comedic, given the heaviness of some of its subjects. Yes. I like funny. I've been thinking about the relationship between comedy and tragedy quite a lot lately and here's a shorthand on what I've concluded (though a whole book might be in order): tragedy sits at the center of what we know and understand. The dead child, the lost love, the dream denied. Comedy, however, sits at the edge of what we observe and is often one step beyond it. A big reason we listen to comedians, other than to laugh, is to see something seemingly familiar in a new way. I think comedy is a very, very powerful tool for social analysis and for engaging readers both emotionally and mentally. It exists in the realm of both the entertaining and the unexpected. If you had to place American by Day in one genre, which would you pick? Placing the book and placing myself are different matters. I think of myself as a novelist first and foremost, and each project calls out for a certain form or structure and sometimes that fits neatly into a genre. Other times it doesn't. My job is to try to tell a story and make sure that the form and function align. Admittedly, I do allow my genre interests to vary. But why not? I watch crime and science fiction and drama and comedy. In the case of American by Day, it is a mystery so I'm perfectly comfortable calling it a crime novel. But it is also contemporary fiction. Reflecting on the novel's ability to be many things at once, what role do you see literature--and the novel in particular--in shaping how we as individuals view the world? There is this interminable discussion about the death of the novel, and it seems that Will Self's piece in the Guardian from 2014 stands as the argument to defeat. I'd like an opportunity to take it down because what he has failed to do is look outside his own cultural domain to notice the flourishing of the novel in the non-Western world; an art form that came from the West and is now so successful it no longer belongs exclusively to us. Like hip hop or jazz or the Olympian spirit, greatness might now come from anywhere. Likewise, the movie, video game and TV industries are body-tackling novels for new material. So, yes, its role in society is changing, but a metamorphosis is not a death. To know whether your garden is flourishing, you have to do more than stare at the grass beneath your own feet. I'd love a chance to take a battle ax to that argument sometime. One last topic: As both a novelist and a scholar myself, I'm appalled at the decline and outright murder of the humanities in American universities. From my perspective, the next major wave of innovation in intelligence studies, security affairs, artificial intelligence and game theory will all come from comparative studies of sociocultural systems, all of which will have to use the humanities as the source material for analysis. Failing to educate the next generation in the humanities is to cut ourselves off from the greatest archive of knowledge the world has ever collected and--thus far--has only dabbled in understanding. I'd like a chance someplace to discuss this, too. Canadian-English author Tom Rachman (The Rise and Fall of Great Powers) writes narratives that crisscross the globe. The Italian Teacher is a bittersweet novel that brings to mind Rachman's fellow Canadian Robertson Davies. It begins in 1950s Rome, then hops back and forth across the Atlantic as it follows the life of a man on the edge of greatness. Charles "Pinch" Bavinsky grows up in Rome as the son of Bear Bavinsky, a prominent American avant-garde painter in the early 20th century, and Natalie, an aspiring artist whose life and work are put on hold by Bear's overwhelming personality and the demands of motherhood. As his parents' relationship collapses, Pinch begins to find his own artistic voice, learning from his capricious father and devoted mother as he attempts to make his own way. But The Italian Teacher is ultimately about failure: Pinch's dreams, sabotaged by himself and others, never come to fruition. The novel examines how Pinch deals with those failures, how they shape his life and how he, through his own acts of sabotage, comes to make peace with them. Readers may finish The Italian Teacher feeling wistful and nostalgic, a high mark for any book, and that is proof of Rachman's talent. Pinch is more than just a vessel where the novelist can examine art from the mid-20th century. His losses and compromises with reality leave the reader with a pang for what might have been. This book is a wonderful, heartbreaking read. --Noah Cruickshank, adult engagement manager, the Field Museum, Chicago, Ill. Discover: Tom Rachman's The Italian Teacher is a heartbreaking look at promise and failure. Mike Muñoz, the endearing protagonist of Lawn Boy, Jonathan Evison's fifth novel (West of Here, The Revised Fundamentals of Caregiving), is 22 and lives in a trailer on the rez in Suquamish, on Puget Sound. His chain-smoking mother works double shifts at the Tide's Inn while Mike babysits Nate, his developmentally disabled big brother, and spends his spare time reading books like The Octopus and The Jungle. He works for a lawn service and loves his job--fresh air and satisfaction. He's also something of a savant with topiary. On Tuesdays, the company goes to Bainbridge Island--home to the wealthy and sheltered. Mike's boss sends him to the McClures to clean up their St. Bernard's dumps. It quickly goes to sh*t, so to say, and Mike is fired. Arrayed against him is a culture of poverty. He finds several new jobs, none of which work out. His mower gets stolen, his truck breaks down permanently, he loses a bit of his soul working for a real estate hustler. 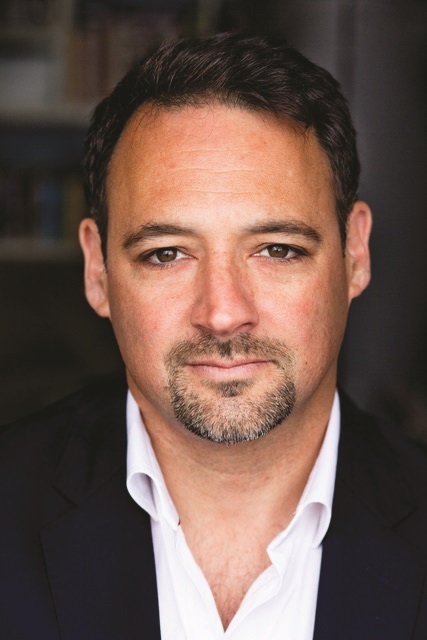 Discover: Jonathan Evison has written a fierce and funny novel about a young man's attempts to transcend class and poverty. We called Derek B. Miller's first novel, Norwegian by Night, "moving yet never sentimental, intricate yet effortless." His second novel, The Girl in Green, "crackles with heart, charm and dark honesty." In his third, American by Day, Miller revisits a character from Norwegian, Sigrid Ødegård, with his now-expected originality and humanity. Sigrid, an Oslo chief police inspector, travels to upstate New York to search for her brother, Marcus. He disappeared after the death of his lover a few weeks earlier; she had fallen--or was pushed--from a building soon after her young nephew had been killed by police. Further distress: she and the boy are black. Also looking for Marcus is Sheriff Irv Wylie. He's not the simple foil for Norwegian pragmatism one would expect. He has a divinity degree, and uses it: "Corinthians Thirteen. Who knew it was actually a foundation for a solid investigative strategy in a murder case." Sigrid, for her part, is impatient with pointless American banter. Miller excels at banter, while limning characters and scenes precisely: a hotel clerk "clacked away at the keys with the lightness of Art Tatum"; a bedroom is "furnished in earth tones and shadows." Discover: Derek B. Miller's third novel, a sequel to Norwegian by Night, is a remarkable and enjoyable story filled with wisdom, humor and grace. To Die but Once, the 14th installment in Jacqueline Winspear's Maisie Dobbs series, is set in a tense London, as England is preparing for imminent invasion. Maisie and her loyal assistant Billy are drawn into an unusual case when a local publican, Phil Coombes, comes to Maisie with concerns about his 15-year-old son, Joe. The boy was lucky enough to get a reserved job, with no fears of military service; however, Coombes senses that something is wrong with Joe, who has been complaining of terrible headaches for weeks, and who missed his usual call home. Maisie and Billy discover Joe was working on a hush-hush contract: painting the buildings of Britain's many burgeoning airfields with fire-retardant paint. Soon after, the body of a teenage boy is found near a train station, and a mysterious black car begins following Maisie--coincidence? Adding to the stress of the case are Billy's worries about his two sons; one of whom who has joined the army already and another who wants to. Maisie also harbors concerns for Anna, the orphaned refugee girl she hopes to adopt, who's staying in the country with her parents. With her gentle wit, Winspear aptly captures the tension of these months, as the horrible events of Dunkirk unfold, and Maisie finds herself tested to her emotional limits by the various plights of her clients, family and friends. Her empathetic nuances make To Die but Once a joy to read, in spite of its sometimes sad subject matter. Historical fiction admirers are sure to devour the latest entry in this delightful historical mystery series. --Jessica Howard, bookseller at Bookmans, Tucson, Ariz. Discover: In this excellent historical mystery, Maisie Dobbs investigates the death of a teenage boy as the threat of German invasion looms in Britain in the early years of World War II. Blackfish City is Sam J. Miller's adult science fiction follow-up to his debut young adult novel, The Art of Starving, and establishes a dystopian world that stands apart in a crowded field. Miller's take on climate change-fueled dystopia has some superficial similarities to the work of Kim Stanley Robinson and Paolo Bacigalupi: rising sea levels are just one of a number of threats unleashed by global warming, and humanity hastens its own collapse through wars, religious fundamentalism and genocide. Blackfish City distinguishes itself by a number of idiosyncratic touches. An "orcamancer" arrives in Qaanaaq--a floating city under the laissez-faire rule of a collection of AI and mysterious "shareholders"--and sets off ripple effects in the lives of each of the novel's many characters. Blackfish City has multiple layers, but frequently revolves around the orcamancer, one of the last of a persecuted race of people who bonded with animals through nanotechnology. She makes quite an entrance, accompanied by a killer whale and a polar bear. Eventually, the characters become embroiled in a larger skirmish between an ambitious gang leader and one of the shareholders. The climate and the environment are not the most pressing threats to humanity's survival. Base human impulses such as fear and greed are far more destructive, and the novel is committed to exploring the distortions caused by inequality. Questions of fairness and justice are ever-present in Blackfish City, where the characters must reckon with the sins of the past in order to forge a hopeful future. --Hank Stephenson, bookseller, Flyleaf Books, Chapel Hill, N.C. Discover: In a dystopic future where climate change threatens human survival, a strange "orcamancer" might offer the only glimmer of hope for the inhabitants of the floating city of Qaanaaq. Barbara Lipska was relentlessly motivated. She fled an unstable Poland in the late 1980s for the United States, where she became an expert in the relationship between mental illness and the brain. She and her family were accomplished professionals as well as competitive athletes. And Lipska survived a brush with cancer. Despite those achievements and challenges, nothing prepared her for the harrowing eight weeks when she lost her mind. In The Neuroscientist Who Lost Her Mind, readers accompany Lipska as she is diagnosed with metastatic melanoma, causing the development of multiple tumors in her brain. Vision impairment quickly gave way to a state of confusion, shocking her family, coworkers and strangers with her increasingly hostile and bizarre behavior. She held out for hope, but prepared for death. Then two remarkable things happened--against the odds, she recovered thanks to an experimental immunotherapy treatment. And even more amazing, she remembers her experiences in vivid detail. As a neuroscientist, she takes this singular opportunity to examine how each compromised part of her brain affected her behavior. "Without a functional frontal lobe," she wrote, "my brain is like a horse galloping dangerously after the rider has lost its reins." Discover: A neuroscientist struggles with an aggressive brain cancer and its treatment in this brisk and urgent memoir. Best known for her stark photographs of New York City and striking portraits of her notable contemporaries, Berenice Abbott was also a versatile science photographer, author, photo gear tinkerer with several patents, teacher at the New School of Social Research, archivist of Eugène Atget's prints and negatives, and pioneer feminist. Born in Ohio in 1898, her 93 years spanned nearly all of the 20th century. Van Haaften's authoritative Berenice Abbott reveals the personal and professional struggles and triumphs of a woman who cut her own path, a volume prolifically and judiciously illustrated, with numerous quotations from Abbott and her long-time partner, critic and journalist Elizabeth McCausland. Abbott left Ohio State University for Greenwich Village in 1918 and never looked back. Broke and vaguely interested in art history, she hung around the bars of the Village with the likes of Edna St. Vincent Millay and Eugene O'Neill, and worked odd jobs until she scraped together enough money to move to Paris. She learned photography in Man Ray's portrait studio and created what Van Haaften describes as "a visual legacy of strong women, many of them lesbian," including Gertrude Stein, Janet Flanner and Djuna Barnes. Returning to New York during the Great Depression, Abbott fumbled along, supporting herself shooting occasional portraits until Roosevelt's WPA Federal Artist Project funded her "Changing New York" cityscape series. She quickly recognized her niche in the growing field of photographic art: "What a vast subject the metropolis is and how the work of photographing it could go on forever." Hanging precariously from skyscraper rooftops to get her shots, the enterprising Abbott was an active participant and observant lodestar in a tumultuous century. --Bruce Jacobs, founding partner, Watermark Books & Cafe, Wichita, Kan. Discover: With its wealth of photographs and thorough research, Van Haaften's biography of Berenice Abbott illuminates both the familiar and obscure touchstones of her life. As Love and Death in the Sunshine State opens, Cutter Wood has just graduated from college and is on a family vacation to the island of Anna Maria, near Tampa Bay, Fla. Afterward, he returns home to wait tables, expecting never to think of the place again--until he finds out about a fire at the motel in Anna Maria where he had stayed. A woman named Sabine Musil-Buehler, co-owner of the motel, has been missing for several weeks. Her car is recovered, with blood on its seats and a stranger behind the wheel. Police name three persons of interest: Sabine's husband, her boyfriend and the man who stole the car. Wood is fascinated. He is drawn back to Anna Maria and begins to pull apart the relationship that might have killed Sabine. Love and Death in the Sunshine State, Wood's debut, is a memoir of post-college ennui; an investigation into a likely murder; an exploration of the light and dark sides of human connection; and an imaginative account of what might have happened to Sabine. Wood blurs genre boundaries, eventually offering a hybrid form that best suits his mind's wanderings. Discover: In Florida, a stolen car, a missing woman and a conflagration draw a writer from out of town to ruminate on the darker side of human relationships. Tim Samaras turned his childhood obsession into a lifelong passion that he used to change the world. Captivated by The Wizard of Oz and a PBS storm-chasers special as a boy, Samaras became the greatest tornado researcher of our time. The Man Who Caught the Storm is journalist Brantley Hargrove's intimate portrait of a fascinating man whose goal was to do the undoable: map ground-level data from the heart of a supercell twister. Samaras, a self-taught weather forecaster and electrical engineer, made his living testing weapons systems at the Denver Research Institute, a job he obtained with no experience and a hand-written résumé. The fervor and fortitude that jump from Hargrove's well-researched profile show Samaras as a person who simply would not be denied his legacy. During tornado season, Samaras lived and breathed storms, chasing weather fronts along with funding to continue his research. Featured regularly on Discovery Channel's reality series Storm Chasers, Samaras became a legend in the weather community. He died in 2013, along with his son and another colleague, when a vehicle they were in was struck by a tornado. Discover: This is the scientifically detailed yet heartwarming biography of the country's greatest tornado researcher, who developed the first probe to measure data from inside a twister. U.S. Poet Laureate Tracy K. Smith (Ordinary Light) believes poetry can "help us make sense of the contemporary moment." That moment includes her country's historical and present-day acts of injustice against refugees, former slaves, African Americans and the poor. Her fourth collection, Wade in the Water, examines that injustice (political and personal) with sharp insight and telling detail. Smith moves deftly from the broad theme to the striking personal image: in "New Road Station," for example, "History is in a hurry. It moves like a woman/ Corralling her children onto a crowded bus." "Unrest in Baton Rouge," inspired by the iconic photo of a female protester facing down two armored policemen, asks, "Is it strange to say love is a language/ Few practice, but all, or near all speak?" The poem mentions "jangling handcuffs" and blood that "pools in the pavement's seams," but its enduring image is "Love: naked almost in the everlasting street,/ Skirt lifted by a different kind of breeze." While Smith repeatedly calls injustice and its perpetrators to account, her poems also contain deep compassion and an insistence on hope. She writes with warmth about her young daughter in "4 1/2" and "Dusk," and recalls fond childhood memories in "Urban Youth": "The hedges thrummed with bees/ That only sang." Family and love can be fraught, too, but Smith is fierce in her cherishing of the good. Discover: U.S. Poet Laureate Tracy K. Smith's fourth collection contains sober-eyed, insightful poems that call injustice to account but insist on hope. The young Muslim narrator of Jamilah Thompkins-Bigelow's debut picture book delights in all the wonder of her mother's headscarves. She luxuriates in the bright, beautiful colors and styles: "Some have tassels. Some have beads. Some have sparkly things all over. And she has my favorite color... yellow!" She uncovers a sense of empowerment while wearing them: "When I wear Mommy's khimar, I am a superhero in a cape, dashing from room to room at the speed of light." And she eagerly embraces a special connection with her mother: "I close my eyes and if I breathe in deeply--really deeply--I smell the coconut oil in Mommy's hair and the cocoa butter on her skin." The little girl's love for her mother's khimar and all it represents is reinforced by the acceptance of family and friends from a dazzling array of ethnicities and religious backgrounds. Mom-Mom, who doesn't wear a khimar or "go to the mosque like Mommy and Daddy," sees the little girl in her mother's bright yellow hijab and calls her "Sunshine," singing out a gleeful "Sweet Jesus!" Discover: An inventive young Muslim girl finds wonder and joy in the brilliantly colored headscarves her mother wears. When Lena was three years old, her mother died suddenly. Lena's half-brother Danny, 22 years old at the time, became her legal guardian. Danny had only been dating Nick for a few months at the time of Lena's adoption, but Nick "apparently liked [her] brother enough that he didn't complain that Danny now came with a three-year-old." Twelve years later, all of Lena's memories are of life with Danny and Nick. This isn't a bad thing--she loves them and they are the only parents she has ever known--but she is disappointed with her three-year-old self for not creating any mother memories. Danny refuses to talk about their mother, and he has to be treated "like [he] might be carrying ancient unexploded weapons inside" of him at all times. Which means that, when Lena finds a picture (and then a video) of their mother at a protest with baby Danny, she has to do some snooping into the past to learn more. As Lena digs into history Danny would rather she left alone, Danny gets a new job working for a conservative politician whom Nick, the owner of a small, all-organic coffee shop, loathes. Meanwhile, a bomber targets London's grocery stores, making the city tense and wary. Discover: Catherine Barter's debut YA novel is a tense, subtle work about family and bringing secrets to light. For Alma Sofia Esperanza José Pura Candela, her oversized moniker is "'so long... [i]t never fits.'" Her father knows something more: "Let me tell you the story of your name," he offers, "Then you decide if it fits." Opening the family photo album, Daddy explains how Alma got each of her names: Sofia for her "books, poetry, jasmine flowers"-loving grandmother; Esperanza for her great-grandmother who hoped to travel the world; José for her artist grandfather; Pura for her great-aunt who "believed that the spirits of our ancestors are always with us"; and Candela for her activist "other" grandmother. With each ancestral tale, Alma enthusiastically underscores her direct connections to her familial inheritance. When Daddy finally arrives at how he chose "Alma," she realizes her name "fits [her] just right," with all the room she needs to write her own story. Juana Martinez-Neal, who won a 2018 Pura Belpré Illustrator Award for La Princesa and the Pea by Susan Middleton Elya, makes her author/artist debut with a story of her own--literally. Alma and How She Got Her Name also doubles as a glimpse into Martinez-Neal's multi-monikered background: her full name, Juana Carlota Martinez Pizarro, holds her own family history, which she shares in her author's note. As artist, her mostly black-and-white graphite and colored pencil drawings with splashes of red (suggesting now) and blue (capturing then) provide an additional, enhancing narrative: the family's Peruvian roots, Alma's avian and floral interests, her bilingual drawings, her historically inspired style sense, even a peek at Esperanza's worldly treasures. Discover: Young Alma's full name might be very, very long, but so is the legacy of creativity, resilience, resistance and love embedded in her multiple monikers.